rest early in the day. hotel for a short rest. Curling Club. Hats off to the curling club employees and to the volunteers. The curling club looks great. with a record of 4-1 in round robin play. 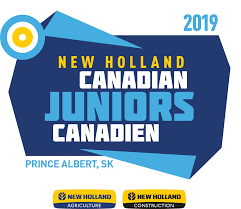 We play our final round robin play against Team Yukon Tuesday 7 pm. 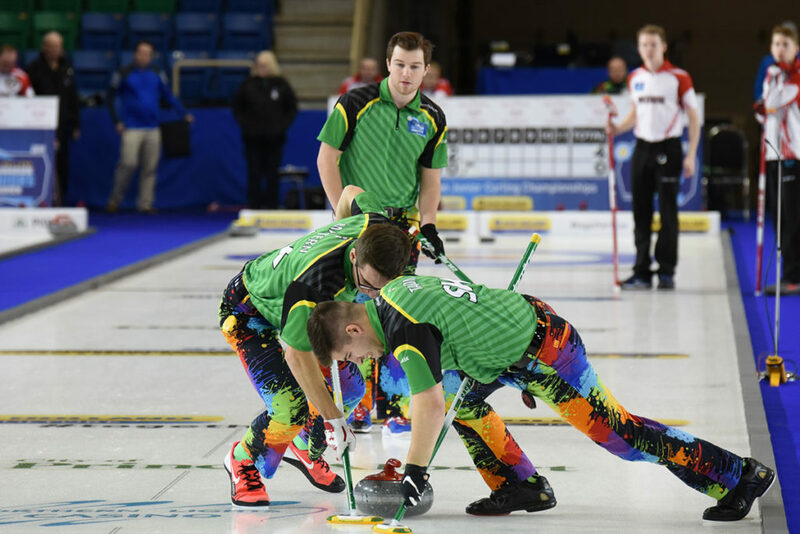 Matthieu Taillon (left) & Joshua Mattern (right) sweep Rylan Kleiters (rear) rock during action against Ontario (Melanie Johnson/Curling Canada). 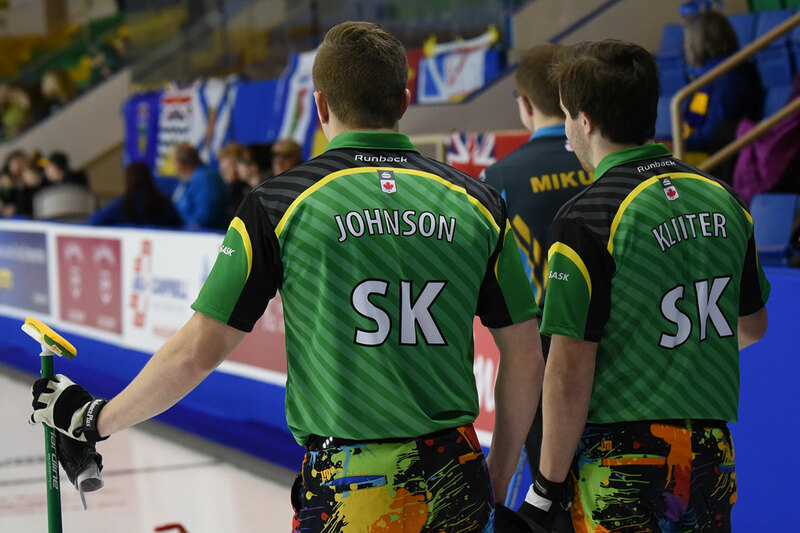 Third Trevord Johnson (left) & Skip Rylan Kleiter (right) watch the line during their game against Alberta (Melanie Johnson/Curling Canada). One more win today against Team Yukon puts us at a record of 5-1 through regular pool play. Second best record overall. We now play the top 4 teams from the other pool. Top 3 teams after that advance to playoff. We play Team Quebec at 2 pm at the Art Hauser Centre on Wednesday. Our parents are having a great time at the parents nights. Food is great. Lots of fun. Round robin is over and we are off to the championship round! With a total of 6 games played we are happy to have finished with a 4-2 record. Although we thought we had a pretty relaxed schedule, man were we wrong. The past few days have been busy. Between playing games, eating, practicing, and of course cheering on our favourite teams (Team Host & Team SK Men). We have been ran off our feet in the best way possible. The championship round begins tonight at 7:00 p.m. against defending world champions Team Nova Scotia! Thanks to everyone who has been following and cheering us on. We appreciate all the support so far! 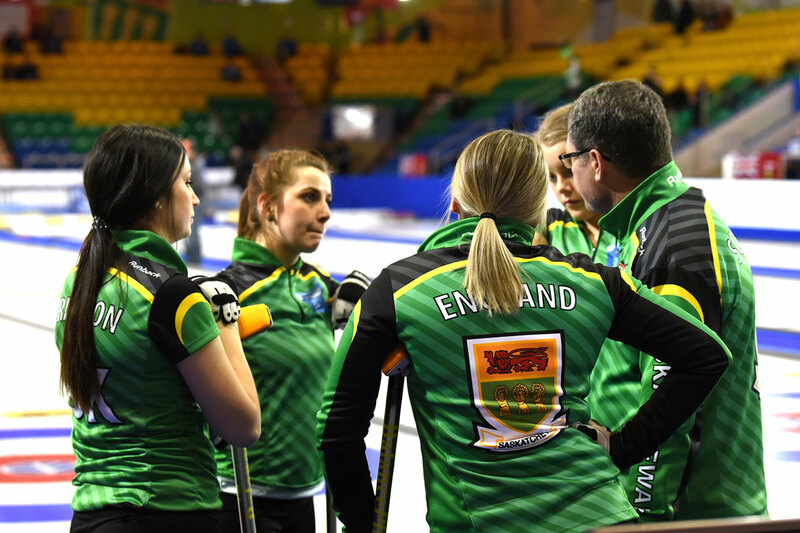 Team Saskatchewan pre-game meeting before their game (Melanie Johnson/Curling Canada).